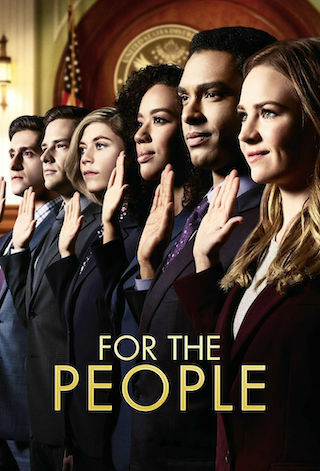 For The People is an American 60 minute scripted legal television series, which kicked off on March 13, 2018, on ABC and is broadcast every Tuesday at 22:00. The show is currently in its 2nd season. ABC is yet to announce the renewal of For The People for Season 3 as well as its cancelation. Sign up to track down the show's status and its release date. Allison defends a man arrested for selling illegal cigarettes and is determined to get him released without bail. Elsewhere, Judge Byrne is called to jury duty where his excitement for a chance at experiencing the criminal justice system from another perspective is quickly tempered by the harsh realities of the process. Meanwhile, Sandra is still emotionally recovering after sending her client to prison for murder.